The below Tiralejo rods do not include the counter balancing weights and must be purchased seperately. TRS-76 M Lure Weight 3/8-3/4oz. Tidal river, back bay, low or calm surf days when the fish are feeding in the wash on small bait fish. Good light rod for school size bass with light line. Recommended lures: Yo-Zuri Crystal Minnow, Shad Swim Baits. TRS-80 M Lure Weight 1/2-1 1/2oz. Jetty and medium surf conditions, good tip sensitivity for detedting the swimming action on plastic lip swimming plugs and soft swim baits. Also great distance casting for light metal lures. Recommended lures: Bomber 16-A, small needle fish plugs, small wood swimmers Hopkins and small bucktails. TRS-80 MH Lure Weight 3/4 - 2 1/4oz. Jetty and medium surf condition when you need to cast larger lures. Also for live eels and herring. This 8 foot rod has the added power to control larger fish in inlets or any area with heavy currents. Recommended lures: Yo-Zuri Mag Minnow, 2 1/4oz. Polaris popper, medium metal lip swimmers, medium bottle plugs, larger needle fish plugs, medium weight bucktails, and metal lures. TRS-90 M Lure Weight 3/4 - 2oz. Jetty and surf rod when you need extra lenght to control your lures in medium surf conditions or to reach out over the edge of the rocks on the jetty when you go to lift the lure out of the water. This rod has a slightly softer mid section for that perfect pencil popper side to side dancing action. This rod will also give you the lure sensitivity or "feel" to fish the medium swimming plugs to fish in heavier surf conditions. Recommended lures: pencil popper 1 - 1 1/2oz. Bomber 17, Roberts Bounder, larger shad swim baits, medium needle fish plugs. TRS-90 MH Lure Weight 1 - 3 1/2oz. Big lures, big water and big fish best describes this rod. This rod has extra power built into the lower section of the rod to provide extra power to land big fish in heavy current condition like in an inlet or canal or rip line. 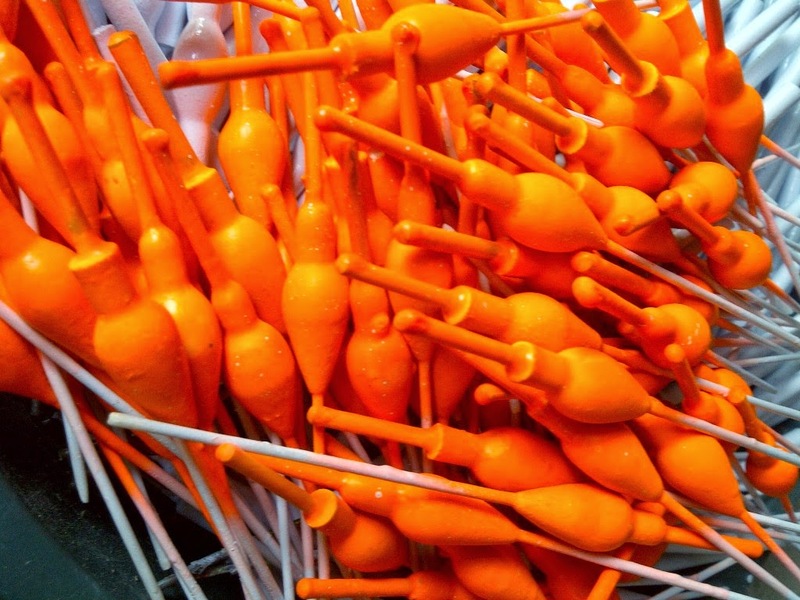 The tip is designed to cast large metal lip swimmers, wood darters, and heavy poppers. In heavy surf conditions when the wind is in your face and you need to launch a big bucktail this is the rod. This rod also makes a great bait rod for medium surf conditions. Recommended lures: Large metal lip swimmers, large bottle plugs, large polaris poppers, bucktails to 3oz. 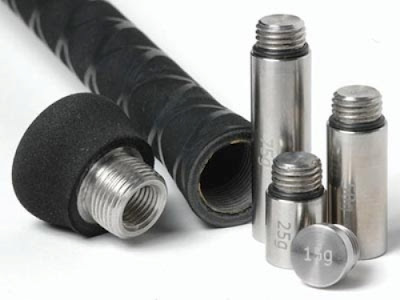 TRS-100 M2 1 - 3 1/2oz. Same use as 90MH but with the extra lenght to handle heavy surf conditions when you need a little extra reach to get to the outer sand bar. Also a great medium weight bait rod. This 10 ft spin rod can be used for medium to heavy bait fishing conditions when the ease of a spin rod is desired. 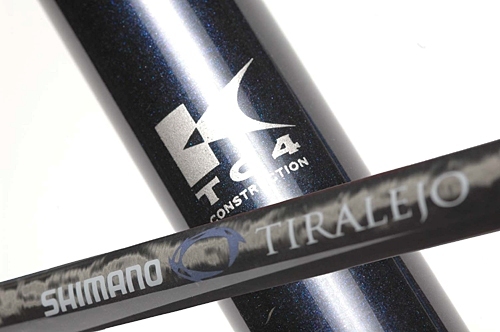 To be used with the Shimano Tiralejo Surf Rods, Shimano's four-weight Counter Balancing System (includes 15 gram, 25 gram, 50 gram and 75 gram) allows anglers to perfectly balance their outfit, allowing for greater distance and accuracy in casting. ada yag jual ga om di indo?